Bright and comfortable Venice apartment recently refurbished of 65 sqm: 2 bedrooms ( 1 with kingsize bed and the 2nd with one bed + 1 foldable one), 1 bathroom with shower, living room (2 furnitures with foldaway single beds) with fire place and fully equiped kitchen. Equipment:TV, central heating, air conditioning, microwave. Location: a few foot steps away from the Fenice theatre and 5 walking minutes from St. Marco square. 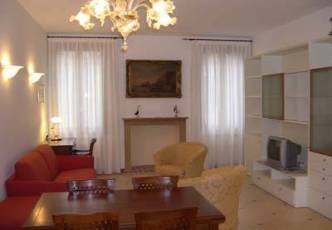 Bright and spacious 3rd floor 80 sqm Venice apartment has been recently restored : 2 bedrooms ( 1 with kingsize bed and the 2nd with two single beds), 1 bathroom with tub, living room with sofa bed and fully equiped kitchen. Equipment:TV, central heating, air conditioning, dish washer, washing machine and microwave. 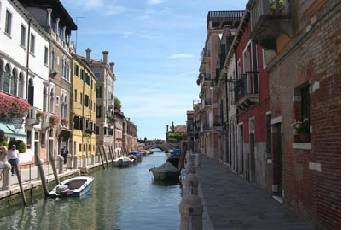 Location: next to the "Frari church" and less than 10 minutes walk from Rialto. 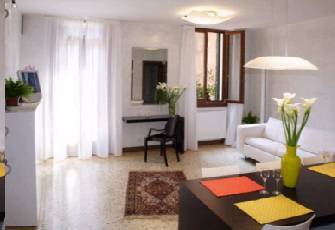 Bright and spacious 1st floor Venice Apartment of 75 sqm recently renewed : 2 bedrooms ( 1 with kingsize bed and the 2nd with two single beds), 1 bathroom with tub, living room with sofa bed and fully equiped kitchen. 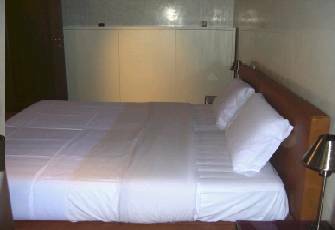 Equipment:TV, central heating, air conditioning and microwave. 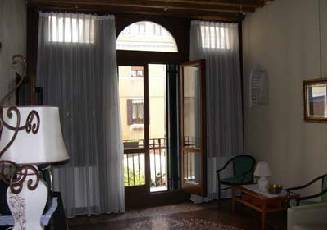 The apartment has a splendid terrace with table and chairs to enjoy the moments of relax and to be able to feel you as a Venetian in your vacation. Composed from an spacious living room, fully equipped corner kitchen with washer, microwave ovens, two bathrooms with shower (one ensuite), and a comfortable double bed room. Luxurious apartment with a beautiful view of Campo Sant'Angelo, prestigious finishings, modern furniture perfectly integrated in the typical Venetian environment. Composed of a spacious and fully- equipped kitchen family room with oven, microwave oven, dishwasher. Master bedroom and sofabed for two children, bathroom with shower. 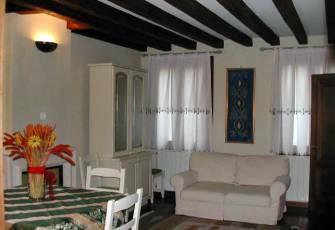 This apartment is located on the first floor ( second floor American) of the typical Venetian palace. It has been completely restored and elegantly furnished. 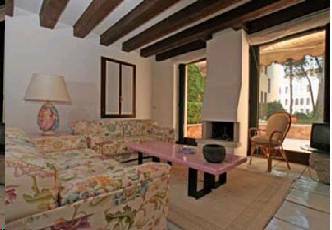 The luxurious Cà Martino apartment is about 70 mq, including two double bedrooms, one with one large bed and the other with two single beds that can be used separately or together as one large bed, two bathrooms with showers, a bright and spacious living room with a confortable sofa bed, and a well-equipped kitchen. This very bright apartment offers splendid views of the canal that runs next to the palace. 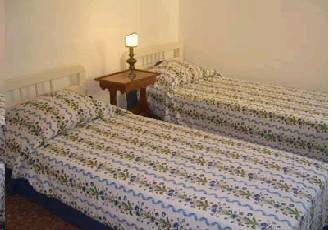 It has been carefully furnished and provided with every comfort for your stay. This exclusive and refined apartment is situated on the ground floor of a Venetian palace that enjoys an incredible view to a garden facing the Grand Canal. The apartment is composed of an entrance foyer, a spacious and bright living room with a view of the garden, sofa and fireplace, master bedroom with bed french size, another bedroom wirh two single beds, one bathroom with bathtub, a second bathroom with shower and washing machine, utility closet, and a small private courtyard. The prestigious communal garden is governed by the Ministry of Art Preservation in Venice. It is required to follow the strict communal rules that prohibit walking on or lying in the grass, allowing children to play, bringing animals, or disturbing the neighbors. Ideal for comfortably accommodating up to 4 people. This elegant two-bedroom flat includes a master bedroom characterized by the antique marble column that holds up the wooden ceiling beam. Original goldleaf work on the wardroble and headboard give this apartment a unique light. A bedroom with a single bed, a fully-equipped kitchen, and a bathroom with shower complete this house. 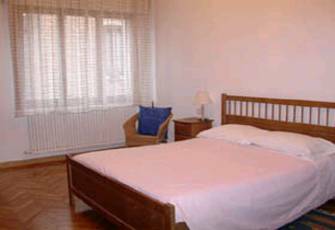 All of the apartments have air conditioning and have been restored as well as luxuriously and elegantly furnished. The exposed ceiling beams amd Venetian floors create a warm and cozy environment where every detail has been taken care of in order to offer a pleasant stay to the client. 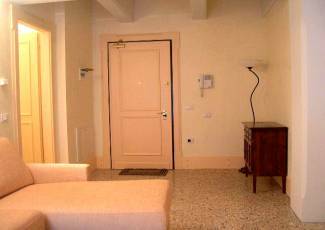 Elegant and refined apartment situated on the first floor of a Venetian palace that enjoys views on a typical Venetian campiello ("Campiello Mosca"). 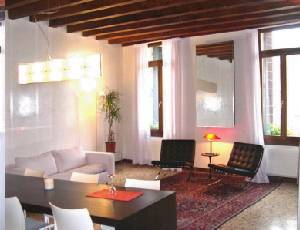 The apartment represents the typical Venetian residence, with travati ceilings, Venetian floors and parquet. A big saloon with sofa bed and TV is the principal room, from here it is accessed a spacious kitchen completely equipped and tastefully furnished. On the other side of the house there are two bedrooms: one double and one with two single beds, two baths both with bathtub complete the house. Ideal to accommodate comfortably up to six people with its 100 m2. It is equipped with dish-washer and washing-machine. This apartment is located on the second floor (no elevator). 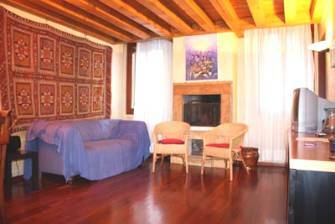 It has been recently renovated with numerous typical features, such as Venetian flooring and wooden beamed ceilings. The apartment has a small living room, 2 double bedrooms (with a Queen size bed each), a kitchen and a bathroom with a shower. The apartment includes air conditioning 2 TVs, a microwave and an iron. Nice apartment with 2 double bedrooms and 2 bathrooms. All rooms are very bright with several windows. The apartment has a private entrance on the ground floor that leads to the 1st floor where we find the living room with sofa and TV, kitchen and bathroom with tub. 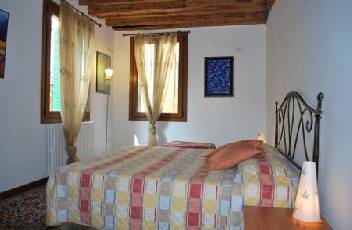 On the 2nd floor there are two double bedrooms and an other bathroom with shower and washing machine. The wooden floor and stairs give a cosy and warm ambiente. Equipment: Heating, TV, Stereo, Fridge, Oven,Washing machine, Sheets, Blankets and Towels.